For once, there is some good news regarding the people versus Monsanto. The company is reportedly laying off the European market for the time being, now that various crops and pesticides have been banned. However, this isn’t such good news for North Americans, who may see a little extra push from Monsanto as a result. According to Berlin newspaper Tageszeitung (Taz), the demand for genetically modified seeds in Europe is not big enough for Monsanto to continue to fight for approval of new products, especially now that many countries have banned the use of certain crops, pesticides, and herbicides. The fight in Europe is not completely over, however. Countries like Spain, Portugal, and Romania are still allowing the sale of MON 810, a GMO maize crop that has been banned in several other European countries. Monsanto will also be lobbying for the legal importation of GMO cattle feed. This means it’s obviously time for the company to capitalize on the recently passed Monsanto Protection Act (really called the “farmer assurance provision”) in the United States, which allows farmers to plant seeds before the Department of Agriculture has deemed them safe. It’s a pretty sad state of affairs when so many countries within another continent have banned certain products, while a big country across the pond is only fueling the fire. What do you think it will take for the United States to take any serious action in relation to Monsanto? 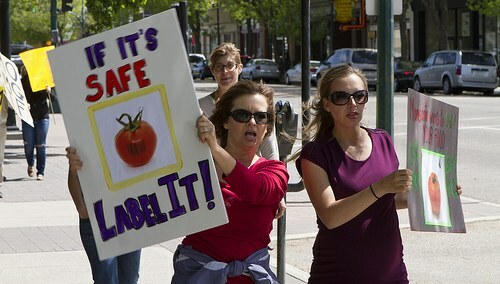 Do you support the labeling of genetically modified foods?